Today, there are tens of thousands of health and fitness apps that consumers can download onto their smart phones and tablets. From tracking the calories you burn to helping manage your stress through guided meditation, these apps are proving to be popular: within the first six months of 2014, their use increased by more than 60 percent, according to one recent study. Many of these apps work with popular activity tracking devices that are made by manufacturers such as Fitbit and Misfit Wearables. 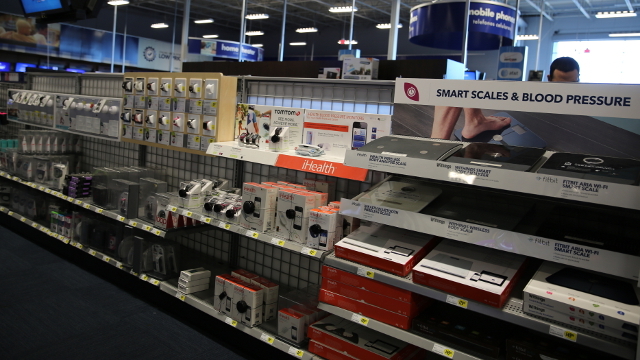 Scrappy start-ups and established high-tech companies such as Google, Apple and Samsung are launching a rising tide of wireless activity trackers, apps and online services that are revolutionizing America’s nearly $3 trillion-dollar health care industry. More changes are ahead, experts say. “We are going into an era in which consumer devices for measuring aspects of our activity or health are going to be the disruptive technologies for the entire health care industry,” said Larry Smarr, a computer science professor at the University of California, San Diego. Already, the internet has revolutionized industries from banking to music, Smarr noted. And now, health care is next, from streamlining the sharing of medical data to launching a remote doctor visit with the swipe of an app. Earlier this year, Apple unveiled its latest mobile device, the Apple Watch, which will be available in early 2015 at a starting price of $349. In addition to being able to play music, and send and receive phone calls and texts, the smart watch also functions as a fitness tracker that can monitor heart rate and calories burned. In addition, Apple’s latest operating system features the HealthKit app where users can store personal health information, such as lists of medication, to nimbly update their electronic medical records or share them with their doctors. “I think that individuals really need to take responsibility for the information that they’re posting up there, and not assume that the companies are going to do that for them,” she said. As Sen. Charles Schumer, D-NY, pointed out recently, no federal laws exist to prevent the selling of personal health information collected and stored by a fitness tracking device or app to a third party, such as a health club or even an insurance provider. And this personal health information goes beyond just the number of steps a person has walked in a day. The activity trackers and their associated apps allow users to store information about body weight, age and height, even how much sleep people get at night. Customers of 23andme submit a saliva sample, and the results are made available to them through the 23andme web site in a matter of weeks. The test can indicate an individual’s genetic ancestry as well as some of their raw genetic data. (In 2013, the FDA stopped 23andme from providing its consumers with health-related information such as the likelihood of developing a disease based on their genetic test results). The company claims that the low cost of its $99 test kit is made possible because the genetic data it collects from customers is stripped of any identifying information and then sold to medical researchers and pharmaceutical firms. As privacy issues play out and new technology rapidly comes online, medical research is also changing because of new consumer electronic tools, faster wireless connectivity, cloud computing and advances in genetics, allowing patients to become collaborators and researchers in their own health care. 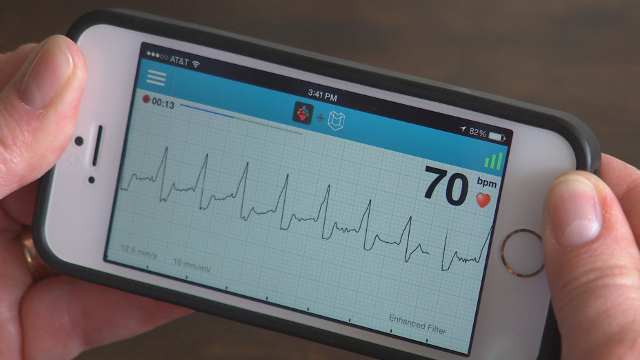 AliveCor is the maker of a smartphone case that can record within seconds an EKG, a measure of heart health. Take, for example, the Health eHeart study, the world’s first all-electronic global heart study led by Dr. Jeffrey Olgin, Chief of Cardiology at UC San Francisco. Olgin and his team are giving study participants wireless activity trackers, apps and even a smartphone case that can quickly record an EKG reading, an important measure of heart health, rather than having the patients come in to visit a doctor’s office. This data is wirelessly relayed to an online dashboard and may help lead to new, better treatments for heart disease, the number one killer in the United States. For UC San Diego’s Smarr, the changes are part of an amazing era that has been unfolding in recent years. This video story is featured in the QUEST television documentary, Future of You.